Ubiquitous fakes have far-reaching impacts on Indian Country. Native American crafters and artists at the Palace of the Governors in Santa Fe, New Mexico. Counterfeit art has far-reaching repercussions on all areas of the Indian art market. Traditional Navajo weavers, for example, have had to compete with knock-offs manufactured in Guatemala, Nepal, India, Romania, Japan and Thailand to name a few, while a town in the Philippines went to extraordinary lengths to cash in on Native art by changing its name to “Zuni” after the Pueblo of Zuni in New Mexico so it could label its mass-produced facsimiles of katsina dolls and Native jewelry as “Made in Zuni” to circumvent the IACA’s labeling provisions. Thompson was also told that workers trained to rip off his jewelry style would receive compensation of 8 cents an hour. In recent years, successful cases have centered on bone art carvings in Alaska, fraudulently marketed as Indian made, as well as the use of fraudulent tribal identification cards used to sell artwork. Individuals representing themselves as Indian artists have also been convicted. However, online transgressors have yet to be prosecuted, and fines levied at mass producers can be absorbed as business expenses. That could soon change, though. 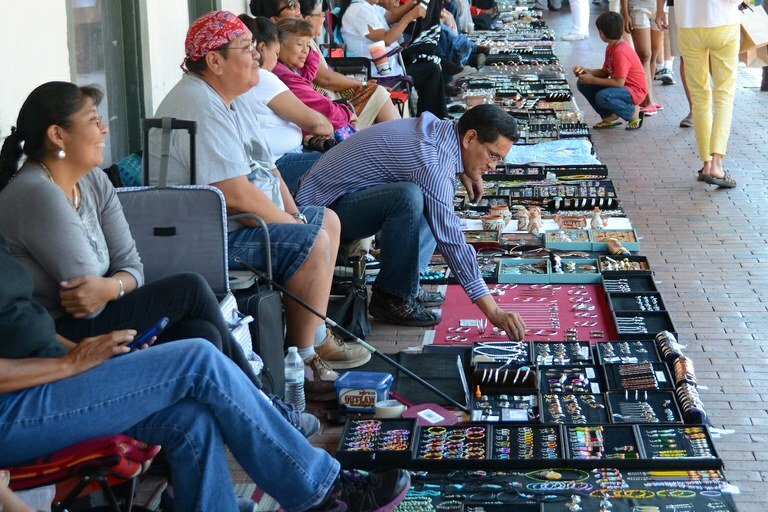 Later this year, federal prosecutors will bring five defendants to court in Albuquerque on “an international scheme to fraudulently import and sell Filipino-made jewelry as Native American-made.” The accused face up to $250,000 in fines and up to five years in prison. Frances Madeson is a Santa Fe-based freelance journalist, a non-Native member of the Native American Journalist Association, and the author of the comic novel Cooperative Village.